Mary Lou Wagner , 83 of Zanesville died at 4:30 AM Saturday, February 9, 2019 at the Oaks at Northpointe. She was born October 14, 1935 in Zanesville, Ohio the daughter of Clarence A. and Mary E. Murphy Basehart. Mary was a member of St. Nicholas Catholic Church and retired after working at Citizens National bank for 17 years & then at the St. Nicholas Cafeteria for 8 years. She is survived by her husband of 53 years, David D. Wagner whom she married April 24, 1965; two sons, Steve Wagner and Patrick (Julie) Wagner both of Zanesville; 3 grandchildren, Kendall Wagner, Hanna Wagner & Hayden Wagner; two brothers, Robert Basehart & Bill Basehart; and many nieces & nephews. Mary was preceded in death in addition to her parents by her sister & brother-in-law; Dorothy and “Bud” Lyon. Visitation will be held from 6:00 PM to 8:00 PM Wednesday, February 13th at the Bryan & Hardwick Funeral Home where funeral service will be held 11:00 AM Thursday, February 14th with Fr. Martin Ralko officiating. Burial will conclude at the Mt. Olive Cemetery, East Pike. Memorial Contributions can be made to the St. Jude Hospital or Bishop Rosecrans High School. The Bryan & Hardwick Funeral Home, 2318 Maple Ave. Zanesville is in charge of the arrangements. 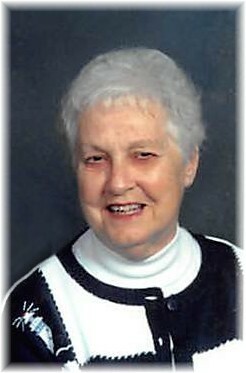 To share memories and condolences with Mary’s family please visit www.BryanHardwickFH.com.